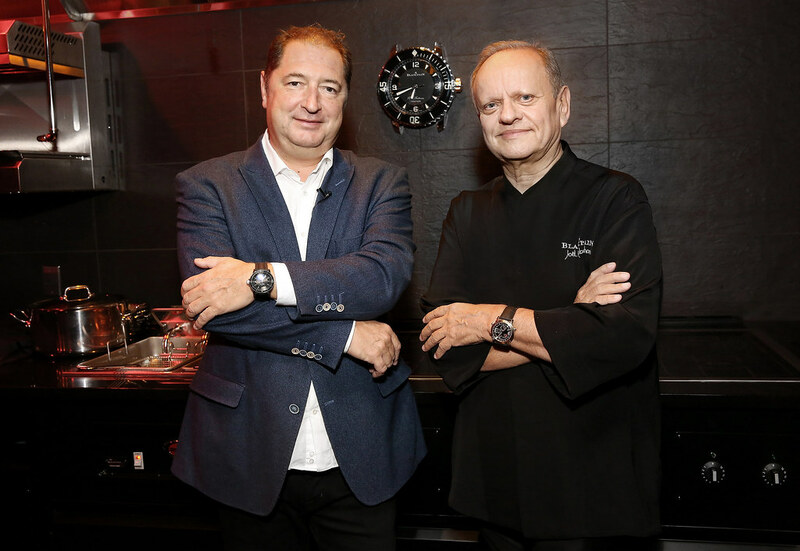 The watchmaking Maison celebrated the opening of its brand-new boutique, located at 697 Fifth Avenue New York, together with internationally renowned chef and friend of the brand, Joël Robuchon. A look back at a pleasant encounter and a private visit conducted by Mr. Alain Delamuraz, Vice-President and Head of Marketing, Blancpain. The longstanding friendship between the Manufacture Blancpain and the talented French chef was marked by a double celebration. As the watch brand was launching its brand-new New York boutique, the winner of 31 Michelin stars was simultaneously opening his "L'Atelier Joël Robuchon" restaurant in a nearby district, the latest addition to those already established in Europe, Asia and North America. 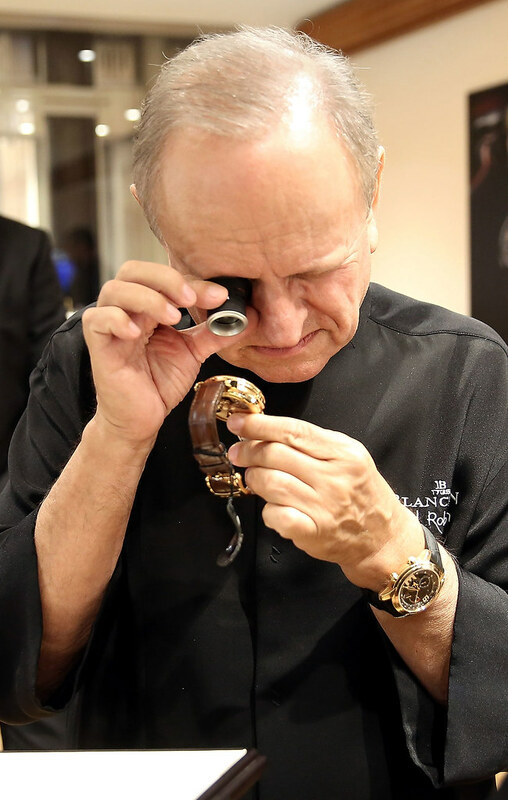 He took the opportunity of these two perfectly synchronized births to join Blancpain for the opening of its new 375 sq.m (i.e. 4,036 sq.ft) sales area spread over two floors, featuring a freshly reinterpreted design. A number of journalists and friends of the brand attending the occasion enjoyed a private tour providing an introduction to the premises and the Blancpain universe, conducted by Alain Delamuraz. This was followed by a friendly yet passionate dialogue between the latter and the great French chef, focusing on common core values such as the quest for quality and excellence, expertise, a deft touch and meticulous workmanship. A shared philosophy summed up by Alain Delamuraz: "Innovation is our tradition. 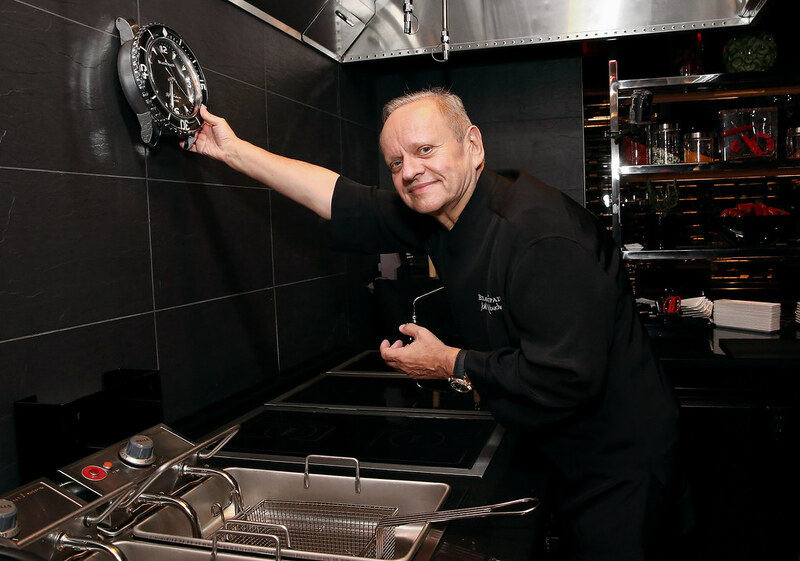 Joël Robuchon is exactly the same, in that his techniques and creations are constantly evolving. This unremitting determination to call into question all that we do will thus enable us to progress and build the future." In turn, the Michelin-starred chef confirmed that he shares the same vision when introduced to the watches from the Fifty Fathoms, Le Brassus and Villeret collections: "I had the opportunity of getting a closer look at the work of master-watchmakers during my visit to the Manufacture Blancpain. I saw the precision with which they work and the care they devote to their art and I understood the pride that we chefs and watchmakers take in producing our creations." 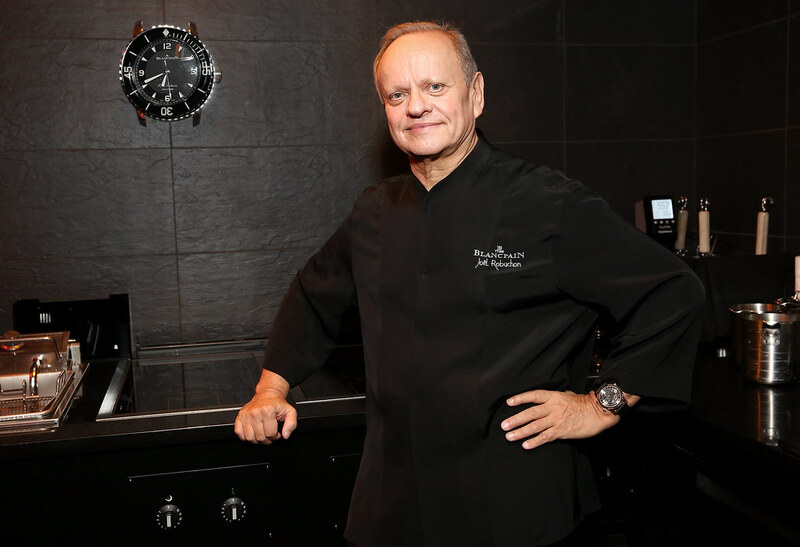 At the end of the visit, in a sudden burst of enthusiasm, Joël Robuchon seized the opportunity to carry off with the boutique's wall clock. He proudly reinstalled his prize in his new establishment as a symbol of his "deep attachment to the Manufacture in the Vallée de Joux", while emphasizing that "time is an essential ingredient in cooking". For more than 30 years, long before haute cuisine achieved its current popularity, the Maison Blancpain has enjoyed friendly ties with some of the greatest exponents of this art. 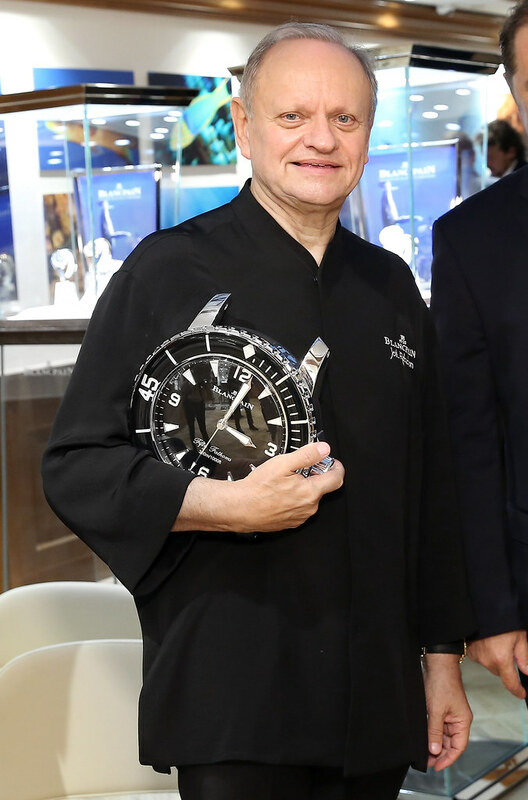 Its relationship with Joël Robuchon, to cite the case in point, dates back to 1989 when he, Frédy Girardet and Paul Bocuse were nominated "Chefs of the Century" by the Gault&Millau guide, and the brand presented them each with a specially engraved watch to commemorate this distinction. Over the years, the Manufacture has unremittingly pursued and consolidated its commitment to the Art of Living with internationally renowned chefs. Next Topic: A new blue dialed Fifty ?